Slowly train no 4 from Digne, the X 304 railcar, enters the station. Stops. No passenger leaves the train, none enters. After half a minute, train no 4 leaves in direction Nice. But before arriving there, it will have to wait for train no 5 at Plan-du-Var station. 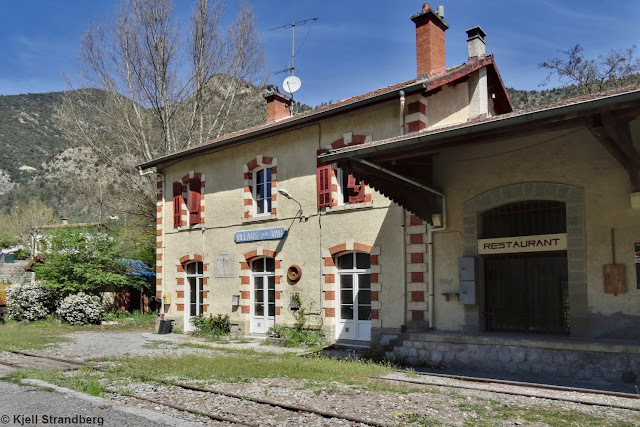 The much younger AMP (Autorail Métrique Provence), heading for Digne. The sound of the X 304 diesel engine gradually disappears. It's really calm again.